For over 17 years, Dr. Bruno Paliani - The SmileDentist, has enjoyed treating hundreds of Invisalign patients and giving them beautiful, straight, white teeth. Dr. Paliani was one of the 1st Certified Invisalign Dentists in Canada and he has been a 4-time Invisalign Gallery Semi-Finalist at the Invisalgn Summit Meetings. What is Invisalign? Invisalign treatment is the invisible way to straighten teeth in teens and adults. The clear removable braces, more commonly referred to as clear aligners, are used to align your teeth and improve your smile. As well, Invisalign is an effective alternative to using metal/ traditional braces, metal brackets/wires, hidden braces or lingual braces. 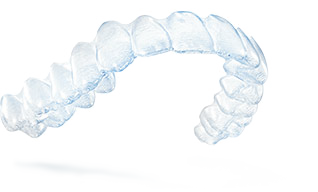 Are you considering Invisalign treatment? If so, please read some of our Invisalign reviews and take a few moments to view some of our amazing ‘Before and After Photos’. Contact us today to schedule a Free Invisalign consultation!